Another snowy day at Orphans of the Storm®, and another great group of dogs who are all eager to find their new forever homes! 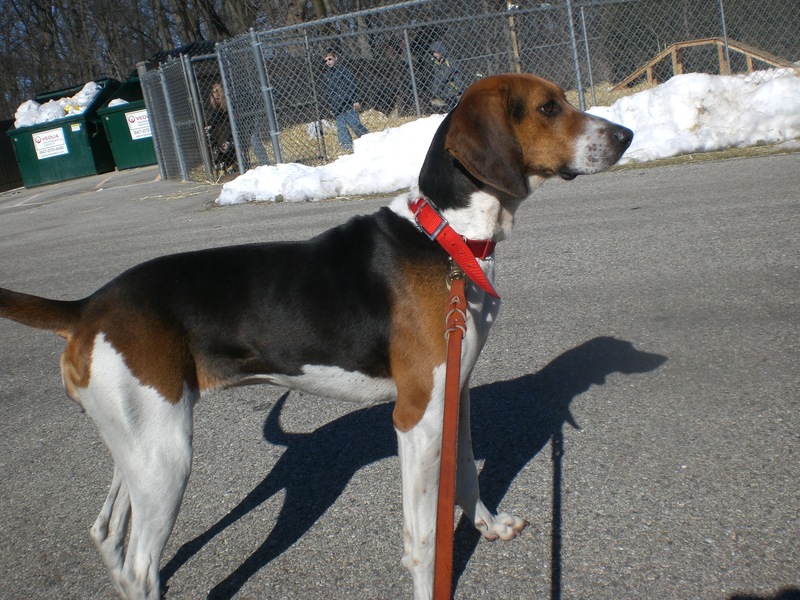 Ella the two-year-old Treeing Walker Coonhound mix is quite the good-looking hound dog. This sweet girl is prepared to follow her nose wherever it may lead her–especially if it leads her into the arms of her new loving family! Ella was a little shy when I first took her out, but once she feels comfortable with you, she is a cuddler. She first jumped up to say hello to another volunteer that she knew already, and eventually felt like she knew me well enough to give me a doggy hug, too. Ella would enjoy getting those floppy ears scratched on a regular basis. If you’re looking for a hound dog, look no further! 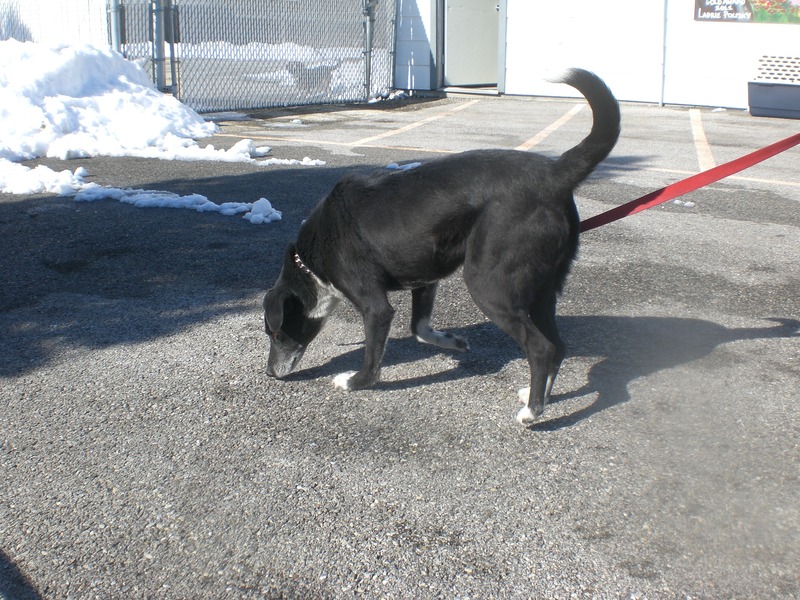 Keini the nine-year-old Labrador Retriever and Shepherd mix doesn’t really pay attention to his age. The only sign that he’s an older dog is the little bit of gray around his nose. 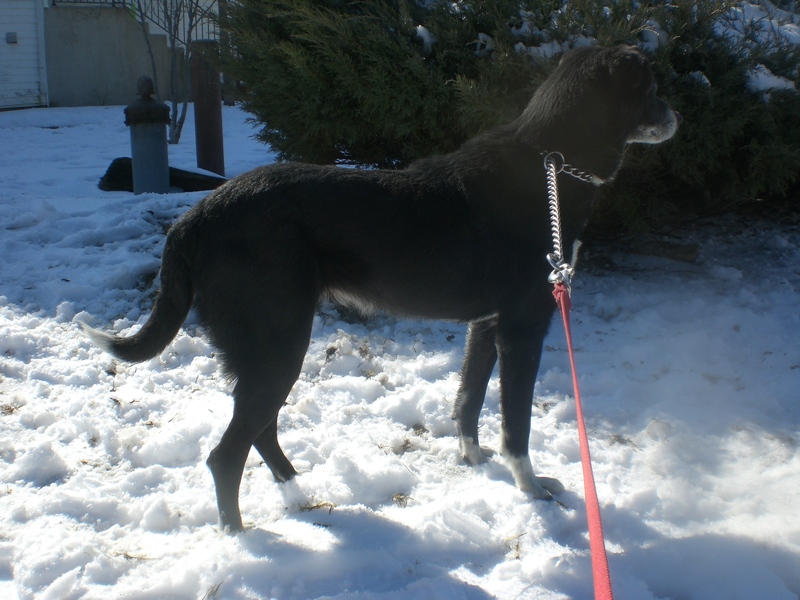 Keini is still an active pooch who loves to run and play. He’s friendly with everybody and his poofy tail is always wagging. Keini hopes that you can look past his age–and his black fur. Superstition says that black cats are bad luck. Well, I say that black dogs are good luck! It will be a very lucky family who welcomes Keini into their home. He still has lots of love to give, and will make a wonderful companion with his easy-going personality. Come in soon to meet Keini! 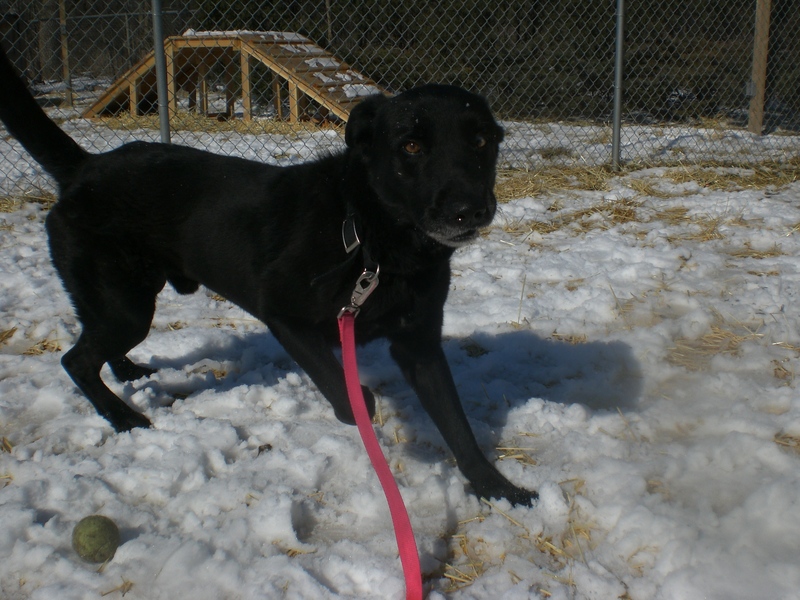 Murray the four-year-old Labrador Retriever mix was a little apprehensive about this walking-in-the-snow business. He preferred to stay on the cleared-off sidewalk when I took him out. I got the impression that he’s not the biggest fan of cold weather, so perhaps he would appreciate a nice doggy sweater and booties for when he goes on walks in the winter. Murray was a sweet dog, even though he seemed a little nervous. He was happy to let me pet his back and scratch the top of his head for him. His ears are super cute and perk up–or out, really–when he sees or hears something interesting. Murray is looking for someone to snuggle with this winter. Is it you? 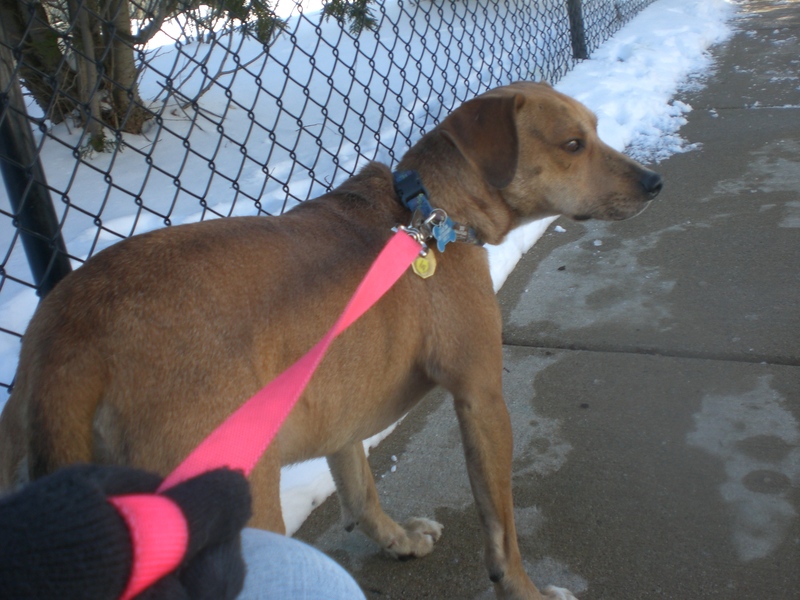 Tilly the four-year-old Labrador Retriever mix was much more adventurous than her kennelmate, Murray. 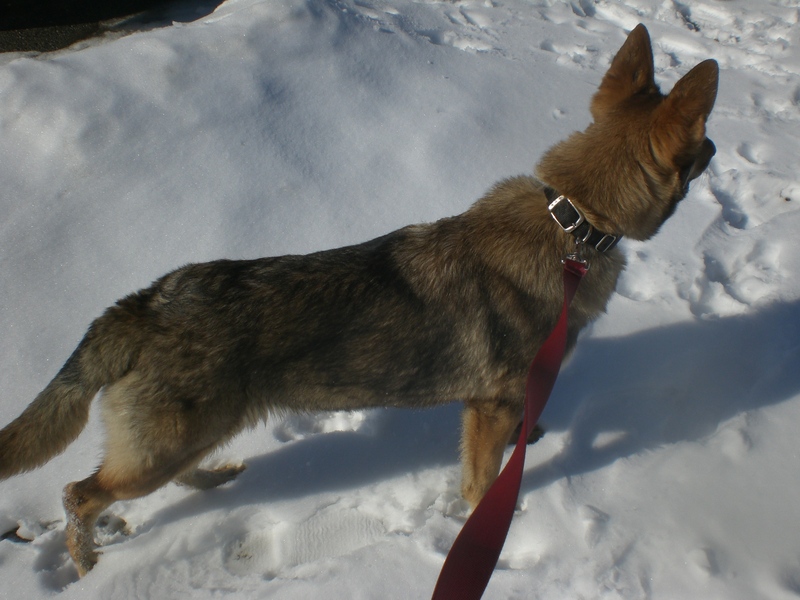 She went bounding through the snow no matter how deep it was, and wanted to sniff all of the interesting smells she could find. 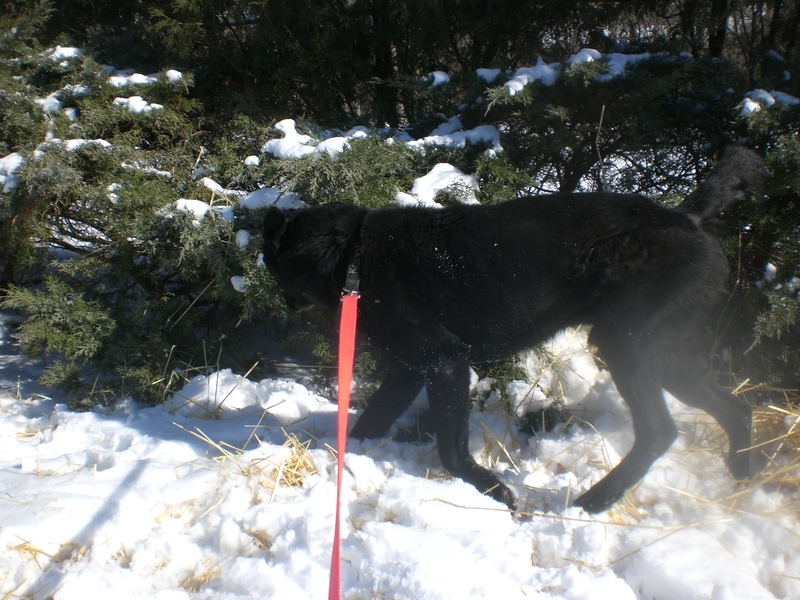 Although she was eager to get out and stretch her legs, she still walked well on the leash. Tilly is the kind of dog who likes to say hello to everyone, whether it be a person or a dog. If there’s a good smell nearby, though, she sometimes can get distracted and try to follow it. But that’s what a doggy nose is for! This Tilly shouldn’t be confused with the other Tillie (who is also still looking for a home! ), but you can’t go wrong with either. Koyota the two-year-old German Shepherd mix is a very pretty girl. Some even say she looks like a wolf (but she’s a little small for that). 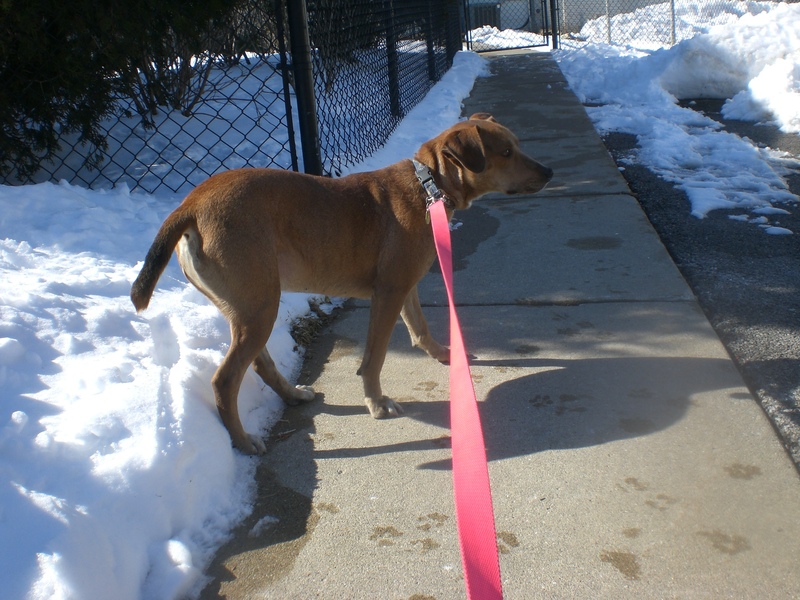 Koyota is an energetic dog who is looking for an energetic family that will take her on nice walks, play with her, and then give her plenty of love. Koyota can pull on the leash when you first take her out, but once she runs off her energy she’s a much better walking companion. Koyota gets pretty excited when other dogs are around. She currently has a kennelmate, though, so she gets along with other dogs–it’s just that she wants to play! When there aren’t other dogs nearby, Koyota happily stands next to you and enjoys getting her fluffy fur pet. A dog as pretty as Koyota won’t be around for long, so come in soon and say hello! 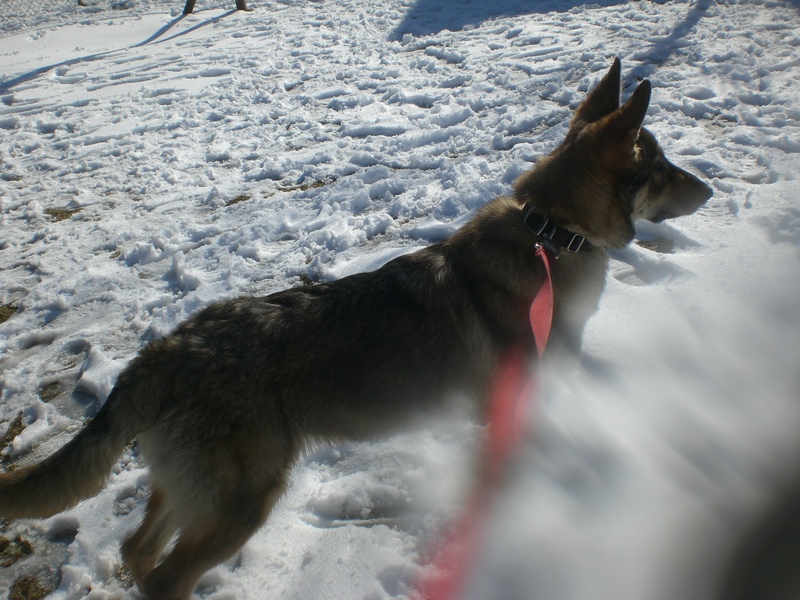 Koyota accidentally knocked my camera into the snow, so please excuse the blurriness! 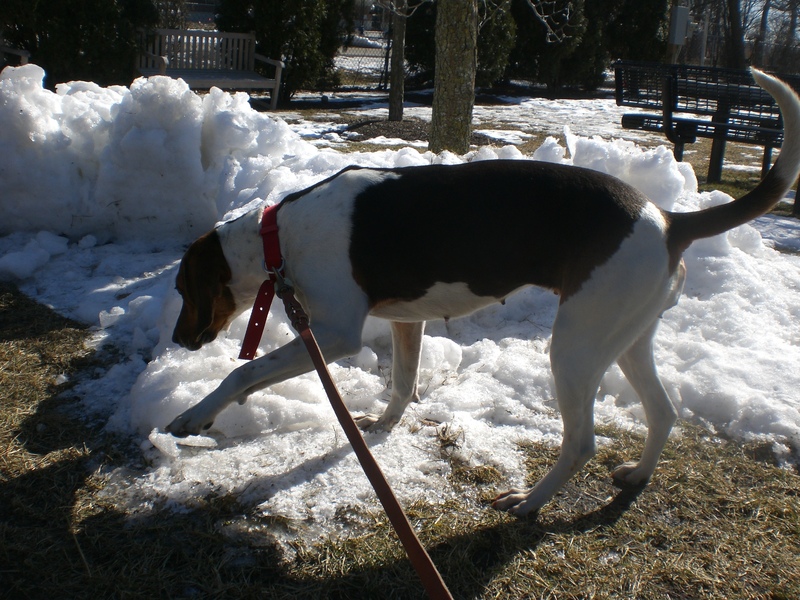 Posted by Meet the Pooches on February 28, 2013 in Dog Profiles and tagged adoption, animal shelter, Chicago, dogs, Labrador Retriever, Orphans of the Storm, pets, Shepherd, snow, Treeing Walker Coonhound.